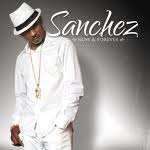 Sanchez kicks off 2010 with 'Now and Forever' from the premier reggae label, VP Records. This long-standing relationship between the two has produced some of the finest lovers rock albums ever, 'I Can't Wait', 'Bring Back The Love' and 'Praise Him' just to name a few. 'Now and Forever' continues the trend. Sanchez is at the top of his game. 14 tracks of pure niceness. Bubblin' one- drops of smooth, lover's rock reggae. 'Won't Surrender' gets the album off to an incredible start. Sanchez sounds better than ever singing about a topic he's approached before but here he adds a modern twist, mentioning his cell phone being searched and his 'texts' being read (Tiger Woods can relate). She's got no case so he's not giving in. 'Who Am I Without You' showcases a man's understanding that he would be nothing if it weren't for the queen that stands beside him. Vintage. Penthouse' massive 'Serve and Protect' riddim serves as the backdrop for 'Longing To Come Home', which expresses nicely the realization that the grass is not always greener. Included in the set is a wicked cover of Jacob 'Killer' Miller and Inner Circle's 'My Everything'. The majority of the tracks on the album are self-penned in collaboration with Sanchez' Chronic Band guitarist Fitz Livermore and top-notch producer Donovan Germaine. Honestly, the result of this collaboration may be the creation of arguably the best record Sanchez has ever put out. The anthemic and uplifting 'Enjoy Life' closes a masterful set. From beginning to end, 'Now and Forever' NEVER disappoints. Sanchez' voice is sweeter and stronger than ever. The riddims are tight and the production is flawless. Donovan Germaine, who gets credit for most of the production, proves that he is at the top of his game. Sanchez is the man. Now and forever!